Voted as the best painting in the history of art in 1985, Velázquez's Las Meninas is almost impossible to define. At the most basic level, the painting is a group portrait of the five-year-old Infanta Margarita, her ladies-in-waiting and other members of the court, the King and Queen of Spain, and Velázquez himself. At the same time, it is also a painting about art, illusion, reality, and the creative act itself, as well as a claim for the nobility of artists and the fine arts in general. Las Meninas is set in the Grand Room (the Pieza Principal) of the deceased crown prince Baltasar Carlos's living in quarters. King Philip IV gave the room to Velázquez in the 1650s to use as his personal studio, a very high honor indeed. The participants in this piece include: In the center: the Infanta Margarita (1), flanked to the right by lady in waiting Dona Isabel de Velasco (2), and on the left María Agustina Sarmiento de Sotomayor (3). To the right of the picture plane are the two dwarves: the German woman Maribarbola (4), and the Italian man Nicolas Pertusato (5), who is caught in the act of kicking the poor, aggravated royal hound. Behind this group are the royal chaperone, dona Marcela de Olloa (6), and an anonymous bodyguard (7). In the deepest level of the painting, framed in the brightly lit doorway is the Queen's Chamberlain and head of the royal tapestry works, Don José Nieto Velázquez (8), a possible relative of the artist. Finally, the King and Queen (10, 11) are present in their reflection in the mirror on the rear wall of the room. Velázquez (9) himself appears to the far left of the composition, painting an enormous canvas with its back turned towards the viewer. Las Meninas was yet another commission from the King. By the time Velázquez set to work on this, the apogee of his oeuvre, he had been the official court painter for thirty-three years. The great bulk of his work at court consisted of painting royal portraits (he painted at least forty portraits of Philip IV alone), and this picture was essentially commissioned as more of the same: a group portrait of the royal family and their attendants. On so many levels, however, the painting is much, much more. Velázquez's Las Meninas is perhaps the painting most open to interpretation in the entire history of art. The following are the most prominent and most plausible interpretations, put forth by the most erudite of art historians. 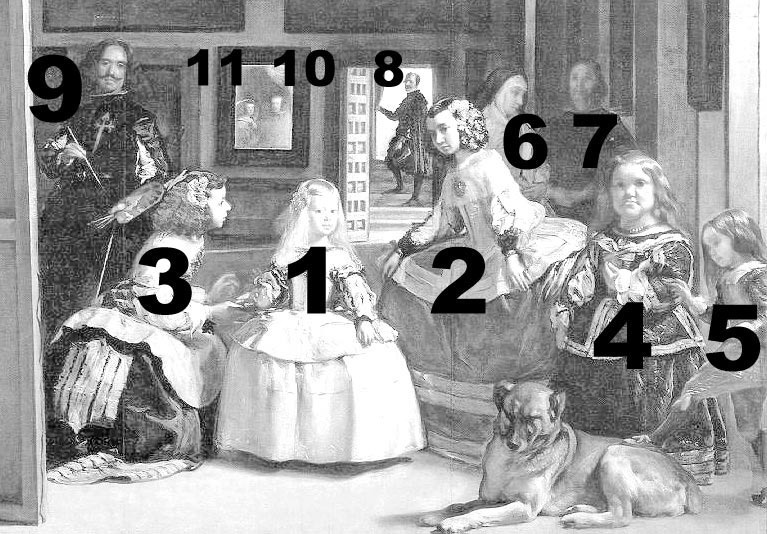 Numerous clues in the painting support this interpretation, for example, Velázquez is shown in the private quarters of the deceased crown prince, in the company of the King, Queen, and the last remaining heir, and only the very closest members of the court: he is, in essence, a part of the family. 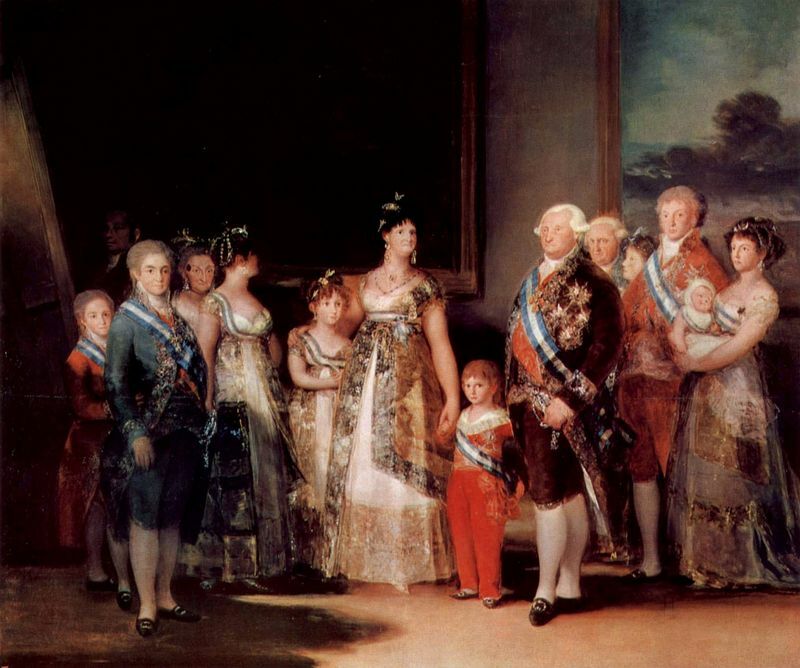 There has been speculation that before the birth of Carlos II, the monarchy was considering grooming the Infanta to eventually rule the country, like Queen Christina of Sweden. In a more general sense, many art historians have proposed (undoubtedly with reason) that Las Meninas is essentially about the relationship between reality and illusion, life and art, a consuming preoccupation during the Spanish Baroque. 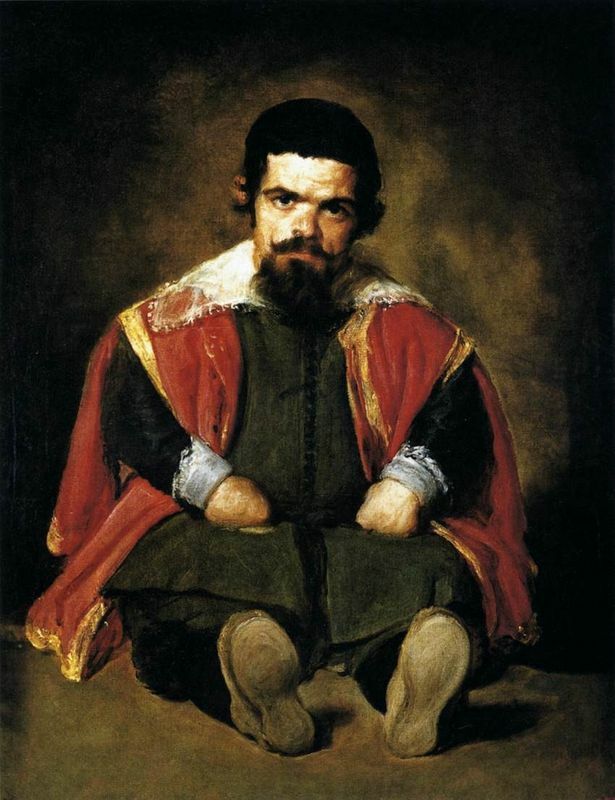 This royal court painter carefully studied his Velázquez before executing his portrait of the royal family. From the Baroque artist, Goya learned to depict the subtleties of light and shadow. The composition bears obvious similarities to Las Meninas and like Velázquez, Goya manages to convey a strangely sinister atmosphere with his seemingly innocent painting, speaking volumes about his artistic subjects. 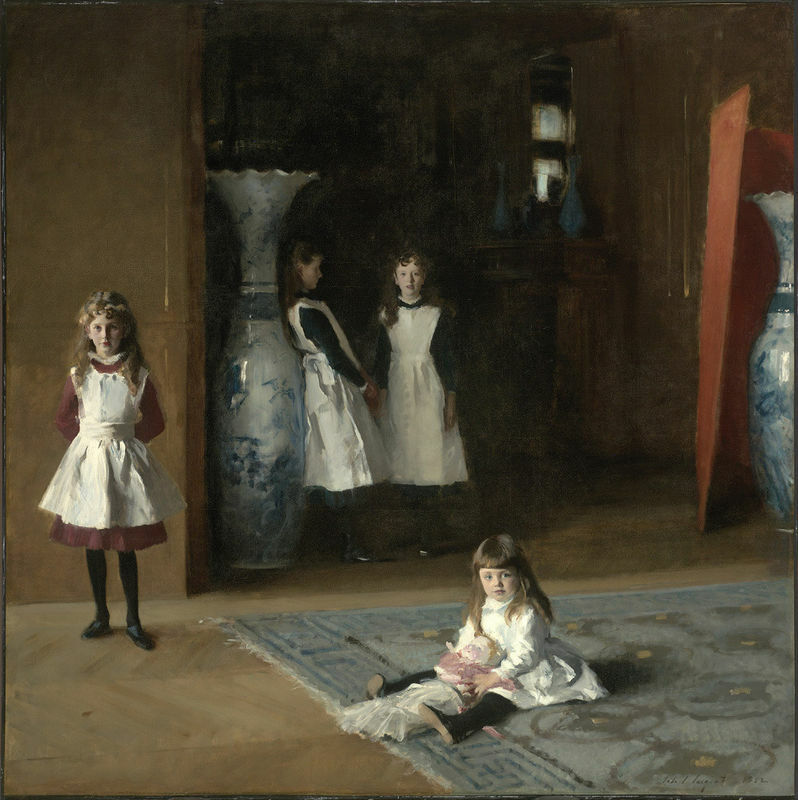 Sargent consciously followed the example of Velázquez's Las Meninas when he executed this portrait of a fellow expatriate family for the Paris Salon of 1883. 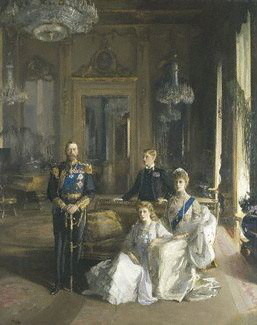 Legend has it that King George V decided to take the role of Philip IV literally when he dropped by Lavery's studio and asked to be allowed to apply some paint himself, just like Philip IV allegedly applied the red cross of the Order of Santiago to Velázquez's chest after the painter passed away. 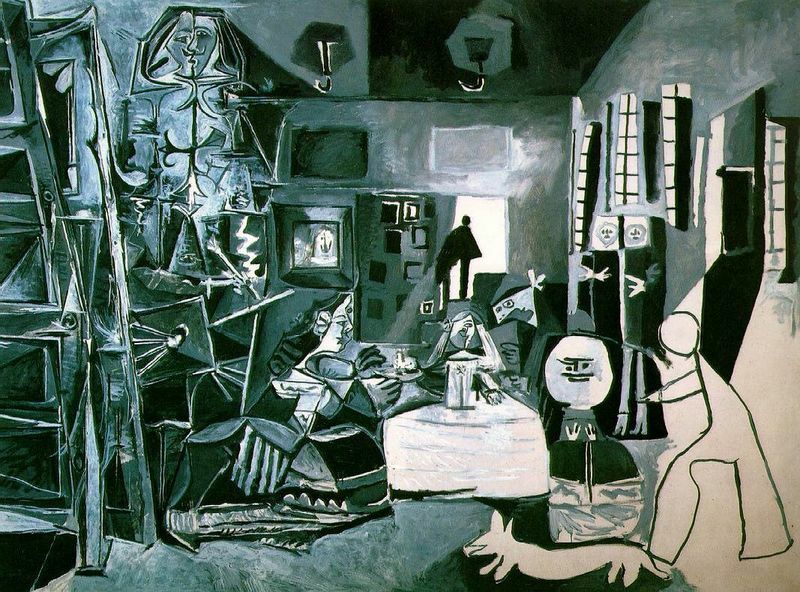 Fellow Spaniard Picasso was long enamored by the Spanish Baroque master. He spent many years of his childhood studying Velázquez in the Museo del Prado and from August to December in 1957, this famous modern artist shut himself up in his studio near Cannes to devote himself to the study of Velázquez's Las Meninas. The result was fifty-eight separate studies of the painting, the sizeable majority of which retained the same basic figures and composition, but radically distorted everything else. 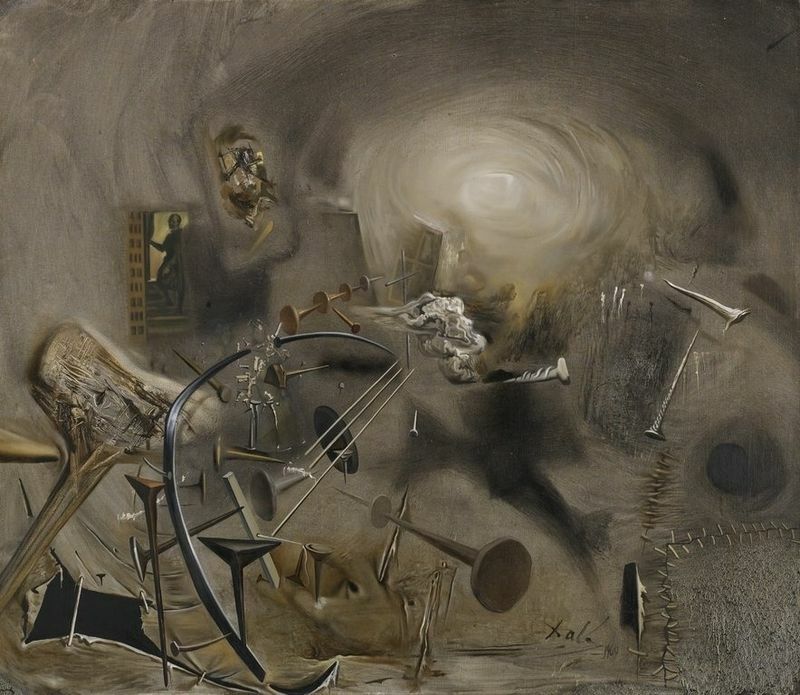 Just like Picasso, this Spaniard could not escape his national artistic heritage, and this wacky Surrealist artist likewise adopted Velázquez as his artistic guiding light. In fact, Velázquez was the only artist that Dalí admitted as his model. Dalí himself said: "Since Impressionism, the entire history of modern art has revolved around a single objective: reality. 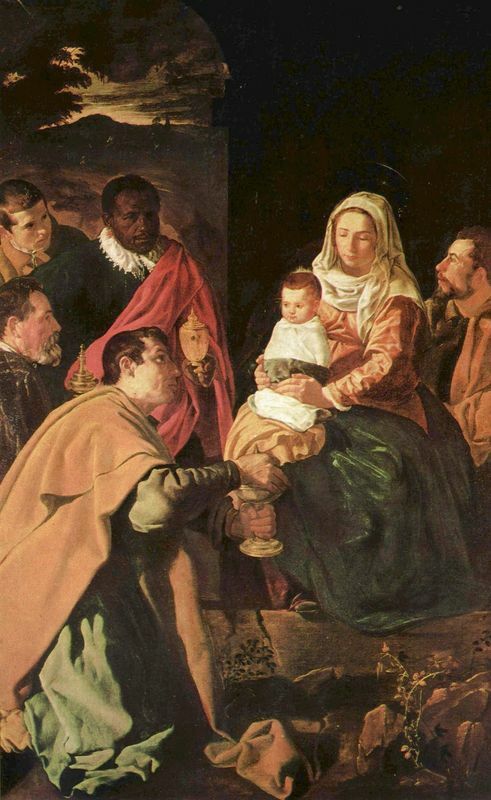 And this might lead us to ask: What's new, Velázquez?" 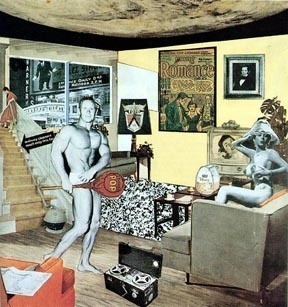 This British artist of the Pop Art movement was a master printmaker, and in 1973 he executed a print of one of Picasso's variations on Velázquez's Las Meninas. With this print, Hamilton entered new artistic ground: a copy of a copy. 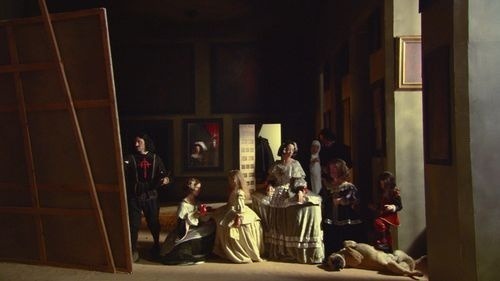 Sussman's work is a high-definition video tableau performed in 2005, intended to capture the moments immediately before and immediately after the approximately 89 seconds for which all the protagonists of Velázquez's Las Meninas would have come into the precise configuration shown in the painting. Manolo Valdés is the next in a long line of Spaniards to take up the theme of Velázquez's Las Meninas. 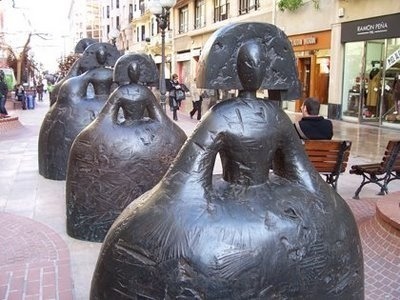 This series of twenty-one bronze statues representing the maids of honor in Velázquez's painting has graced the streets of Paris, France, Helsinki, Finland, and New York City. When Velázquez first entered court, the established painters scoffed at the unproven young talent, calling him only good for mediocre portraits and lacking the scope for subjects of greater weight. Velázquez proved the naysayers wrong, works like Las Meninas, which is among the most exquisite in the history of art. On the other hand, Velázquez's chosen profession would become a significant obstacle in the artist's personal agenda. Spanish society was obsessed with nobility, and unlike in Italy, the visual arts were emphatically not equated with noble pursuits like literature or philosophy. Artists were seen as essentially vulgar craftsman who worked for a living with their hands, just like blacksmiths or tailors. Making matters even more complicated, the Catholic church exercised almost total power over the arts in Spain, dictating everything from subject to composition, meaning that artists had very little room to experiment or grow. Velázquez was thus fated to struggle from the very incipience of his career. • López-Rey, José. Velázquez: A catalogue raisonné of his œuvre Faber and Faber, 1963.